As we bring our previews and teasers for Art Basel Week here at AM to an end, we are sure you are just as anxious as we are to get into the fairs and onto the streets to see what we have all been waiting for. We start by bringing you an pictorial overview of the SCOPE Art Fair (with more in-depth looks later). Overall, we thought that the works offered this year were stronger than last year’s edition and hope you agree as well. Categories: Contemporary Art, Fairs, Low Brow & Pop Surrealism, Openings, Shows & Events, Street & Urban Art. 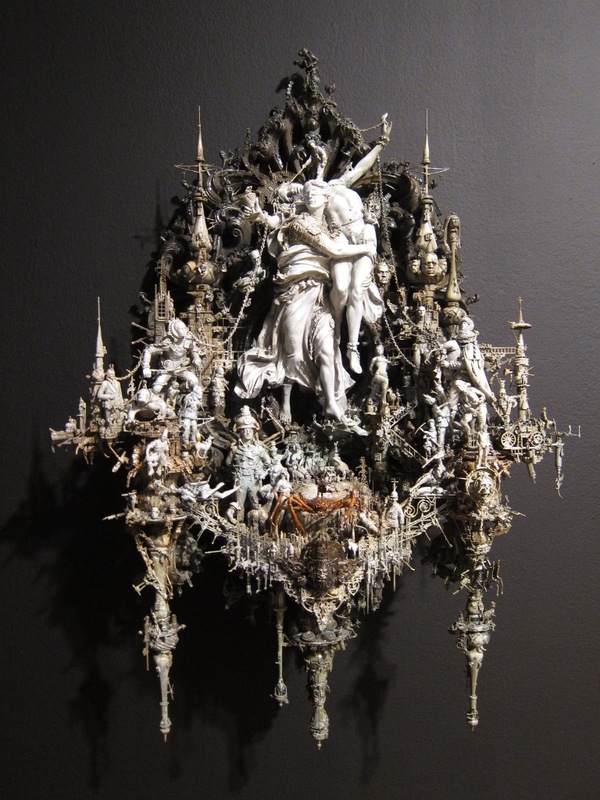 Tags: Art Basel, Art Basel Week Miami 2010, Art Fairs, Kris Kuksi, Scope, Shows & Events.